Upon determination of the questions, he sought for, “A declaration of this Honourable Court upon an intimate reading and complete understanding of Sections 12, 13 and 14 of the National Youth Service Corp Act which is an integral part of the 1999 Constitution of the Federal Republic of Nigeria as amended, the 1st Defendant is NOT qualified to be employed by the Federal Government of Nigeria either as a Minister of the Federal Republic of Nigeria or in any other capacity whatsoever without first presenting a valid discharge certificate issued by the National Youth Service Corp.
“An order of this Honourable Court quashing and setting aside the appointment of the 1st Defendant as a Minister of the Federal Republic of Nigeria by the President of the Federal Republic of Nigeria the same being an act done in circumvention of a condition precedent and in contravention of mandatory Sections 12, 13 and 14 of the National Youth Service Corp Act which is an integral part of the 1999 Constitution of the Federal Republic of Nigeria as amended “An order of this Honourable Court quashing and setting aside the confirmation of the 1st Defendant as a Minister of the Federal Republic of Nigeria carried out by the Senate of the Federal Republic of Nigeria the same being an act done in circumvention of a condition precedent and in contravention of mandatory Sections 12, 13 and 14 of the National Youth Service Corp Act which is an integral part of the 1999 Constitution of the Federal Republic of Nigeria as amended. “An order of perpetual injunction of this Honourable Court restraining the Federal Government of Nigeria from further considering, nominating, appointing, screening and or confirming the 1st Defendant as a Minister of the Federal Republic of Nigeria or any other government position howsoever named or described until she presents a valid certificate of discharge regularly issued by the National Youth Service Corp in view of Sections 12, 13 and 14 of the National Youth Service Corp Act which is an integral part of the 1999 Constitution of the Federal Republic of Nigeria as amended”. 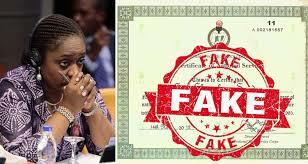 Likewise, “An order of this Honourable Court compelling the 1st Defendant to refund FORTHWITH to the Federal Government of Nigeria [through the Treasury Single Account domiciled at the Central Bank of Nigeria] all the salaries, emoluments, allowances and such other benefits she has enjoyed since her resumption as a Minister of the Federal Republic of Nigeria in 2015 up to the point of the filing of the instant suit”.